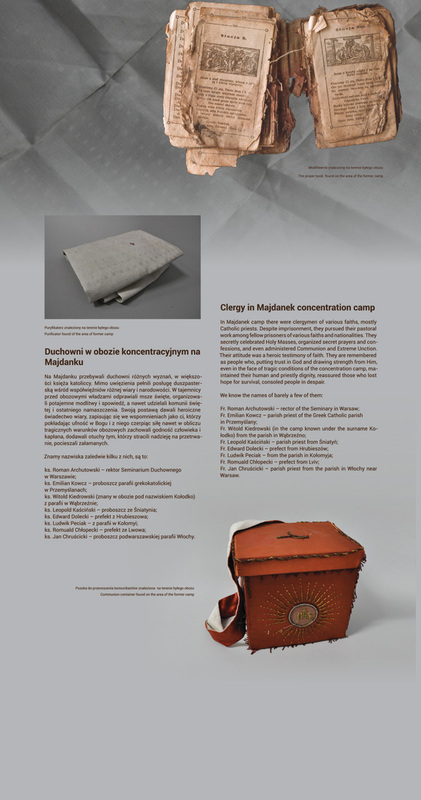 The nine exhibition panels present biographies of both fathers which are illustrated by photographs, archival documents and excerpts from the accounts concerning their lives and pastoral work and reflecting their stay at the Majdanek concentration camp, including identification tag with Emilian Kowcz’s camp number. 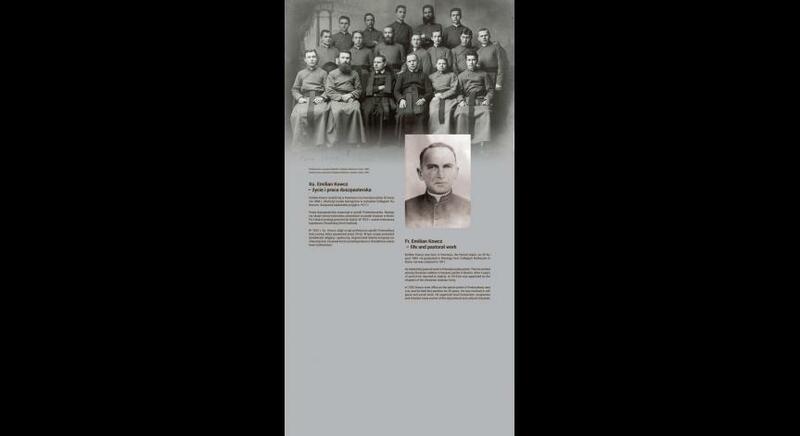 The Nazi terror and persecution of the clergy began with the outbreak of World War II. Priests and monks were arrested mostly on the grounds of their patriotic and political activity and participation in various forms of conspiracy work. 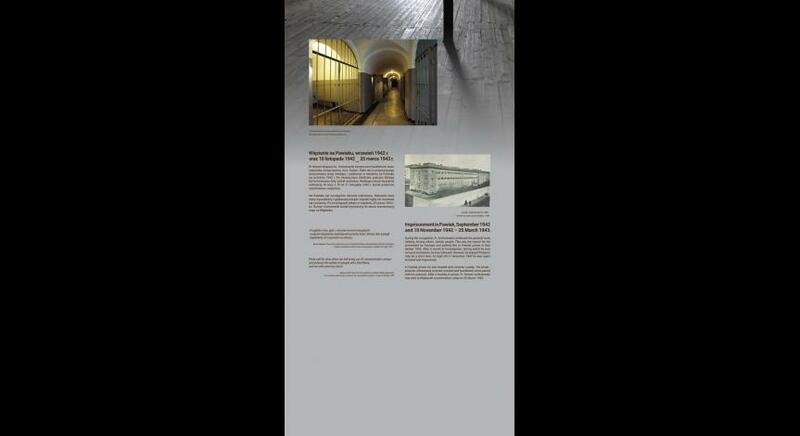 As a rule, after several weeks of staying in Gestapo prisons, clergymen were sent to concentration camps. 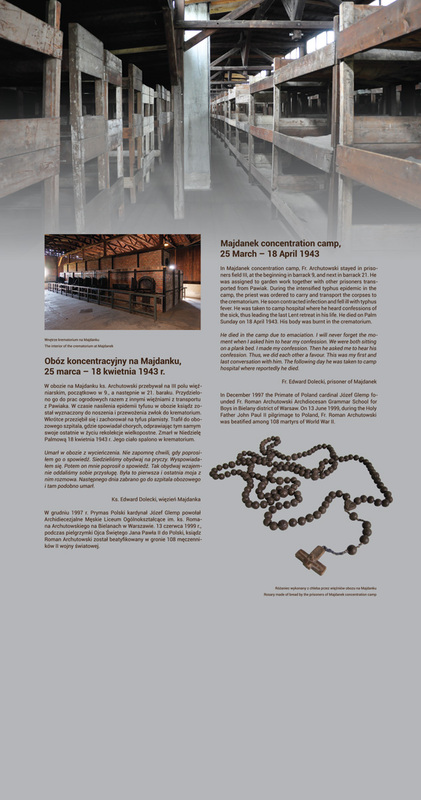 In Majdanek camp there were clergymen of various faiths, mostly Catholic priests. 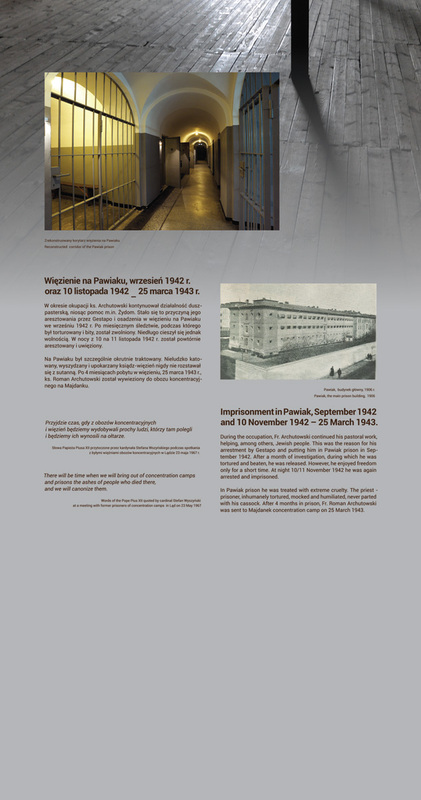 Despite imprisonment, they pursued their pastoral work among fellow prisoners of various faiths and nationalities. 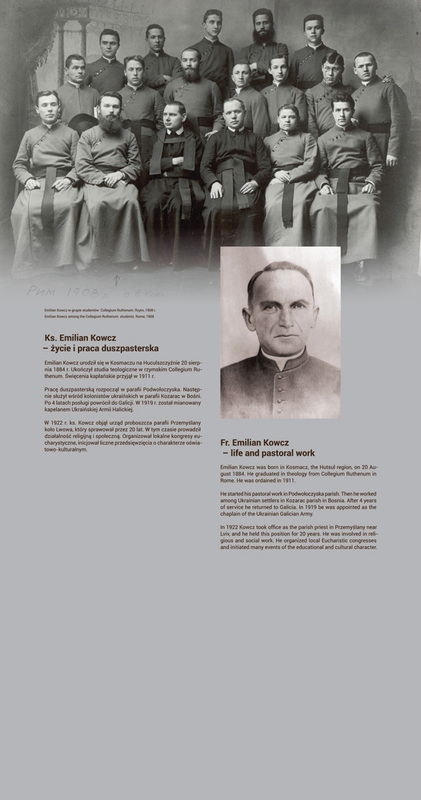 They secretly celebrated Holy Masses, organized secret prayers and confessions, and even administered Communion and Extreme Unction. Their attitude was a heroic testimony of faith. 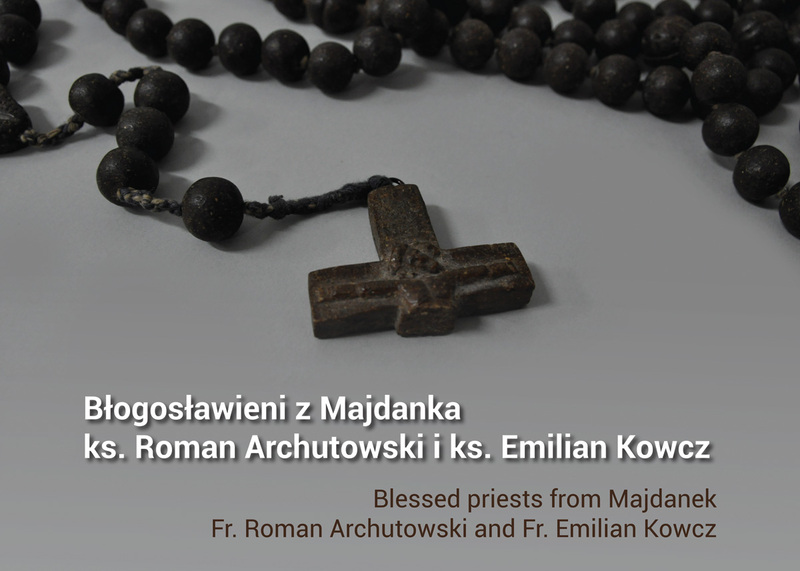 The aim of the presented exhibition is to commemorate the lives of two clergymen – former prisoners of Majdanek concentration camp, beatified by the Pope John Paul II: Polish Catholic priest Roman Archutowski and Ukrainian Greek Catholic priest Emilian Kowcz. 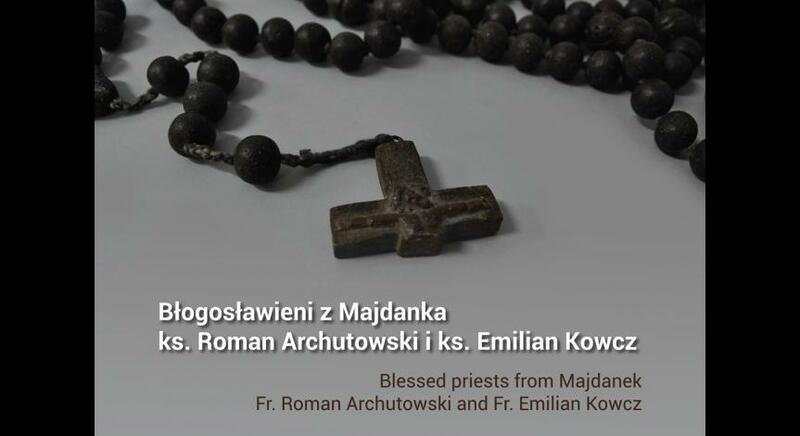 They are remembered as people who, putting trust in God and drawing strength from Him, even in the face of tragic conditions of the concentration camp, maintained their human and priestly dignity, reassured those who lost hope for survival, consoled people in despair. 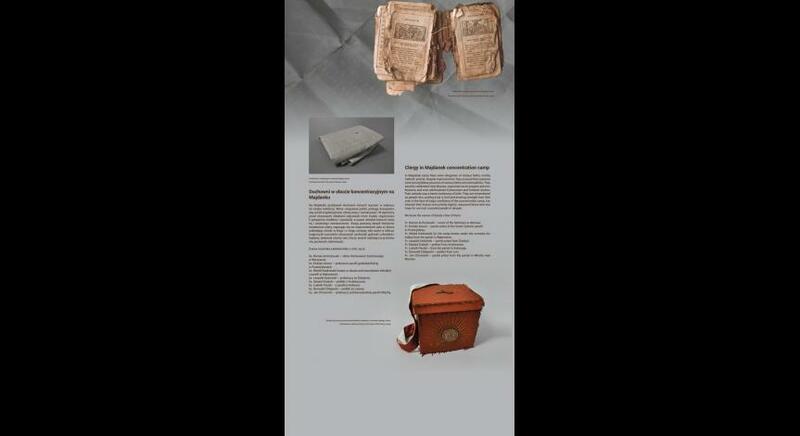 The exhibition is accompanied by a catalogue in Polish and English. 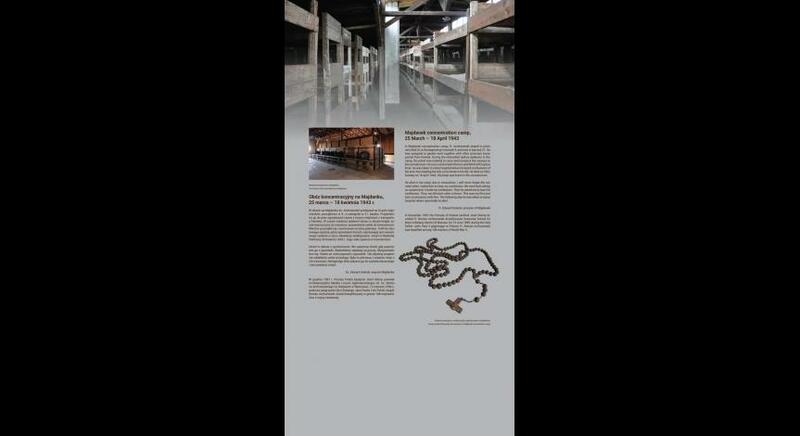 The exhibition can be rented.